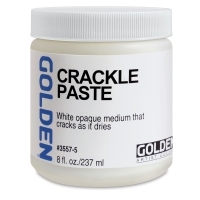 Achieve amazing textures and patterns with Golden Crackle Paste. 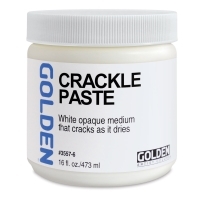 This thick, opaque medium cracks as it dries. 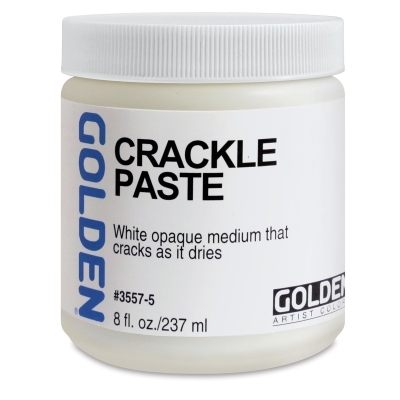 Crack size increases with thicker application. It can be tinted with acrylic paints before application or painted over once dry.